dpdt intermittent duty. 12V DC. 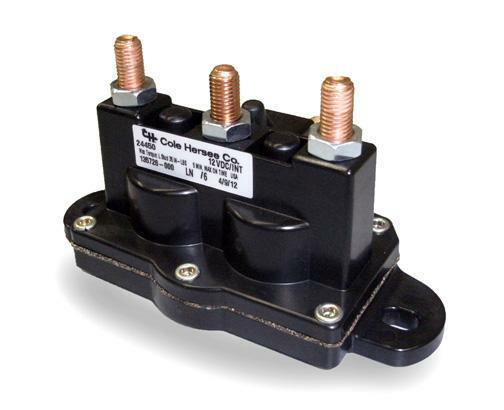 Common ground coil. Two blade coil terminals; 5/16" -24 large studs. Copper contacts. F bracket. 75A make and break, maximum On time 5 mins. 125A make and break, maximum On time 30 secs. 150A make and break, maximum On time 0.5 secs. Allow 5 mins Off after max On time. Maximum operating voltage 14.5V DC. Cycle life 10,000 cycles at 5 secs On, 25 secs Off. Shipped with mounting hardware.